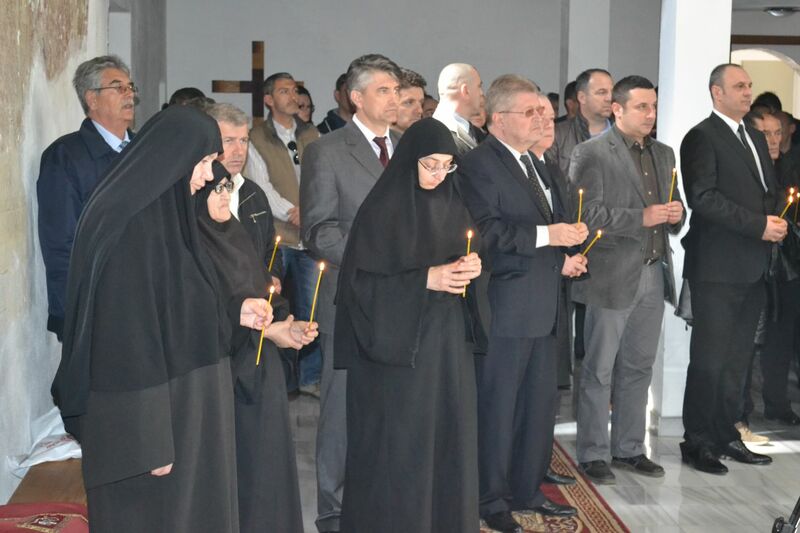 Marking of the 10th anniversary of the March Pogrom began with the memorial service which was served by His Grace Teodosije of Raska-Prizren in the church of Saint Nicholas in Pristina yesterday, on 17 March 2014. After the memorial service for the Pogrom victims Bishop Teodosije also reminded of the suffered Orthodox churches, Serbian homes and the expulsion of more than 4000 Serbs from Kosovo and Metohija. Recalling those tragic March events 10 years ago, Bishop said that those were the days of great trials for the Serbs in Kosovo and Metohija and owing to the miracle of God some of the largest Orthodox churches were saved.